Brad Harris is happy with the energy and commitment delivered so far by the Fiji Airways Fijian Drua extended squad. Harris made the comment after the side had their first scrimmaging session against Police at Prince Charles Park, Nadi, yesterday. “The energy and commitment was excellent and that was one of the things we challenged the boys to achieve,” he said. “Like anything in the first hit out there certainly some areas we need to tidy up. “We need to review and tidy up those areas ahead of the Melbourne Rising game. Harris, the former University of Canberra Vikings coach and current forwards coach of the Georgia national team, said that the team is ready for their opening match of the 2018 National Rugby Championship. 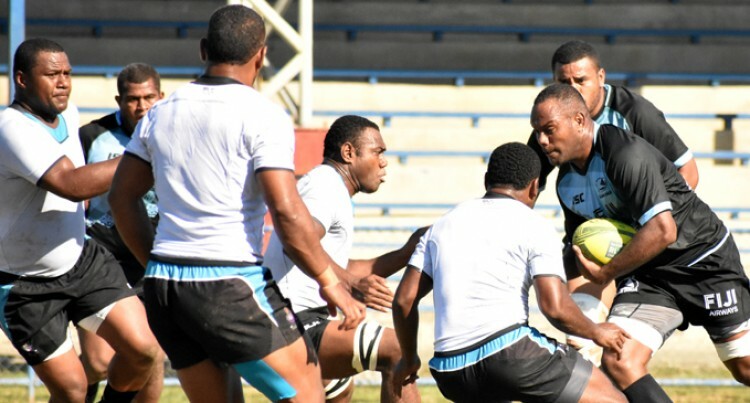 The Fijian Drua take on Melbourne Rising in their first home game at Ratu Cakobau Park in Nausori next Saturday..
“We have another three days of training next week and we have few things to tidy up but it has been a big two weeks. Harris made special mention of the Police team for coming up and giving the team a run for their money. “We had a lot more players than them. They certainly dug in and gave us a really strong test that is what we wanted,” he said. The team take a break today and return to camp at the Peninsula Hotel in Suva next week. © 2019 Sun (Fiji) News Pte Ltd. All Rights reserved.